It looks like 2nd Test at at Abu Dhabi is on similar course as first Test. Like first Test Pakistan won the toss and decided to bat first. At the time of writing they have lost 2 wickets and looking strong with 171/2 with a RR of 3.14. 31 overs are remaining and with a RR of about 3.14 they will add another 100 runs or so giving them a score of around 280 or so. If Pakistan don’t lose too many wickets for the rest of the day today then they will be in very strong position. Pakistan are 2.64 @ Betfair and this is good time to start backing Pakistan. Your aim should be to keep backing Pakistan at all higher odds (> 2). Don’t back Pakistan when odds shorten below 2. Wait for Pak’s innings to end. If Pakistan have scored 400+ then Pak’s victory is certain or in worst case Kangaroos can draw. If you see Draw possibility then do Tarazu between Pakistan and Draw. Good luck and milk loads of money at Betfair. 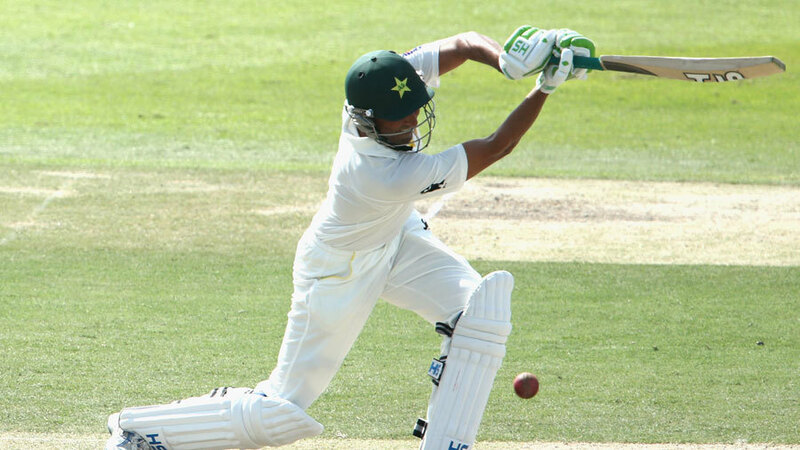 As predicted (280+) Pakistan made 304 at the end of day 1 and they are looking strong. My prediction for day is that Pakistan will try to add another 200-250 runs in 2 sessions but attacking Kangaroos. If they do so then they will declare their innings before or into few overs in 3rd session. If Pakistan manages to score 450+ runs then match is wide open for a Jackpot Tarazu between Pakistan and Draw. I hope you have followed by predictions and dumped some money on Pakistan. As soon as Pakistan declares with 450+ runs start balancing Tarazu with draw when Draw odds are more than 2.0. You can wait for Australia to lose few wickets then draw odds will increase then you will have a jackpot opportunity. This match is following my script. As expected Kangaroos collapsed again and Pakistan have 309 runs of lead. They have decided to bat again. I expect them to add another 100-150 runs before declaring. In any case they should not bat beyond first session tomorrow. With around 450 runs Australia will have 5 sessions to draw 450 odd runs. They haven’t done it so far in this tour and I expect them to fail again. As per my Tarazu strategy we are still winning. A little tweak to Tarazu will be to take some money off Draw and put it on Pakistan. Draw is less likely to happen. Munna vai … WI A vs SL A prediction batao.